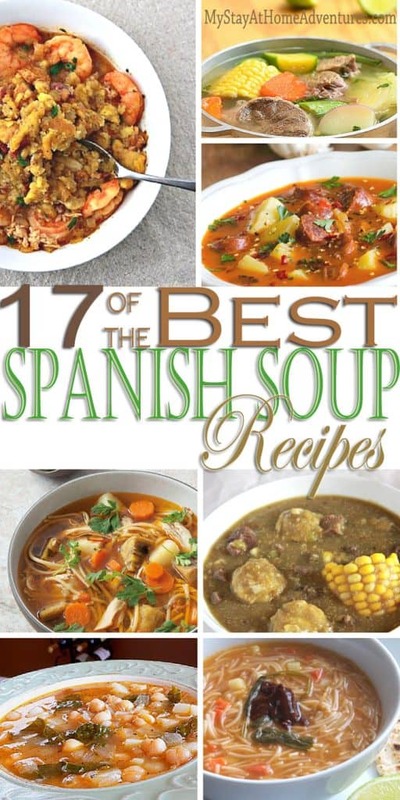 You are here: Home / Recipes / 17 of The Best Spanish Soup Recipes Around! 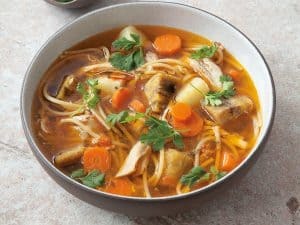 17 of The Best Spanish Soup Recipes Around! 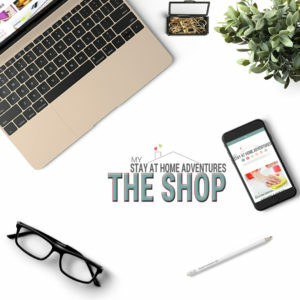 Spanish food is amazing, it's delicious, and here at My Stay At Home Adventures, we want you to enjoy Spanish food as much as we do. 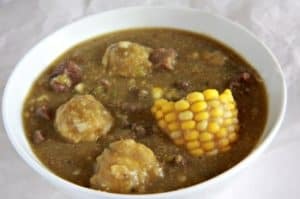 We decided to come up with the best Spanish soup recipes roundup in from Puerto Rican soups, Spain soups, to Mexican soups; we have them all here. 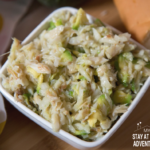 If you have not heard nor tried Puerto Rican bacalao guisado soup, you are missing out. Talk about flavors! If you have been following my blog, you will know that I am a big fan of plantain. 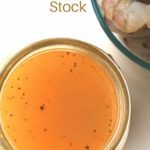 It is one of the most affordable vegetables and you can create wonderful recipes with it. Here is one of them, Plantain soup. 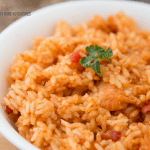 Another Spanish soup that contains plantains that you are going to love. 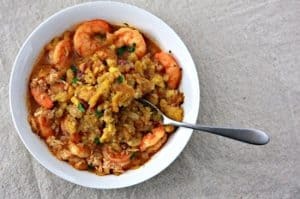 This Plantain Mash & Seafood soup will not disappoint. 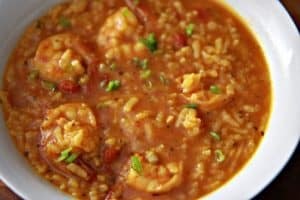 Delicious Shrimp Soup with rice is an excellent meal to have during Lent or after partying too hard! 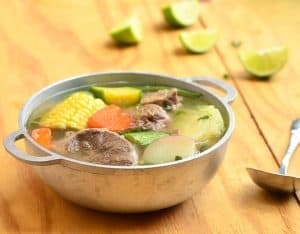 A nice Mexican beef stew on rainy days will brighten your day! 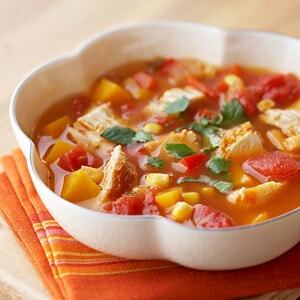 A delicious version of Sopa Aguada (Mexican Pasta Soup) it is so delicious, you have to try it. 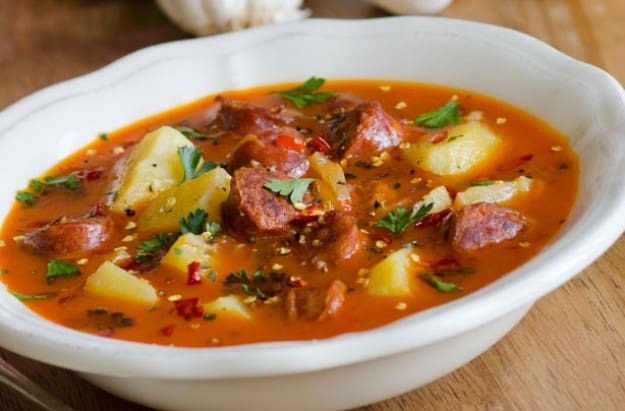 A rich colorful and delicious Potato and Chorizo soup will warm any cold day. 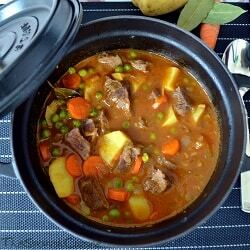 Delicious Spanish beef stew with the best lean cuts of beef for a fabulous taste. Yes! 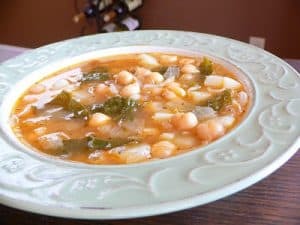 Spanish bean soup with kale and meatless! 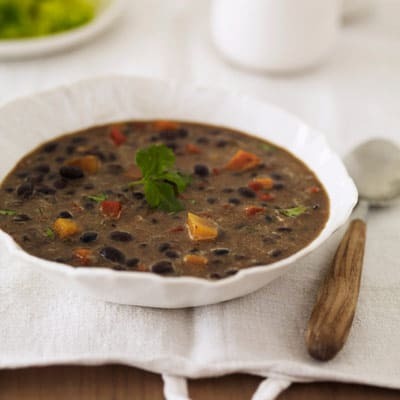 This Black Bean Soup takes about 45 minutes to make but is so worth it! 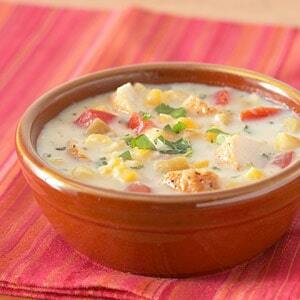 This Mexican Corn soup shares the spotlight with chicken. You can also use fat-free milk with this recipe. 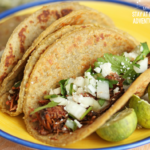 This is an easy 30 Minute Mexican food perfect for Cinco de Mayo. 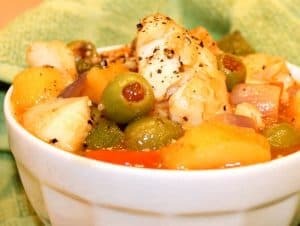 This is another Spanish style stew, only this time with chicken. 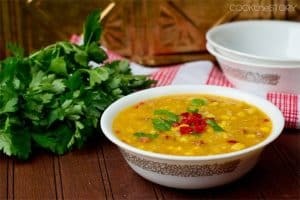 This delicious Spanish Corn Chowder is ready in less than 15 minutes! 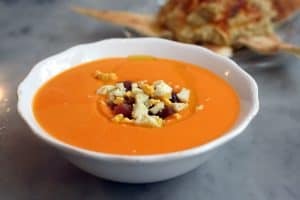 Antonia’s Salmorejo a creamy salmorejo with ham and egg! 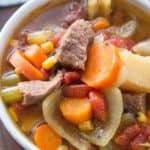 Happy cooking and we hope you get to try at least one of these mouth-watering Spanish soup recipes! 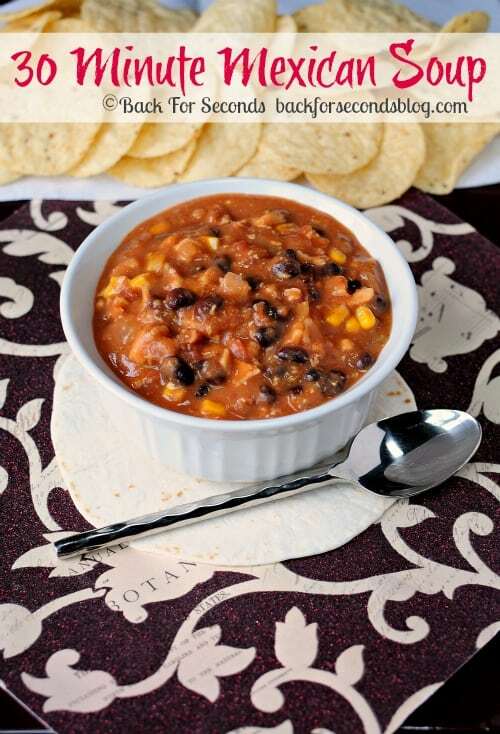 What is your favorite Spanish soup? 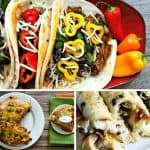 12 Slow Cooker Mexican Recipes You Need to Try Today!